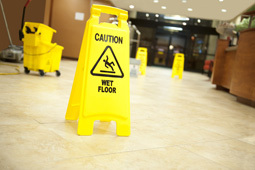 Commercial janitorial services can be customized to fit each client's specific and individual needs. Bay Quality Clean owners will personally meet with each job site manager or owner to setup a cleaning schedule that best meets their needs. Services can be provided day or night and can be performed on a one time, monthly, weekly, or daily basis. Bay Quality Clean's mission is to provide quality services to it's customers at an affordable cost. "BQC provides free quotes for all jobs." Bay Quality Clean recognizes the need to use the right chemicals, tools, and equipment for the job being performed. Microfiber cloths and Swiffer products are used for basic dusting because of their ability to trap dust and light dirt. For carpet cleaning, portable Ninja 400 machines are used. They are commercial standard hot water cleaners with 500 PSI water lift. These can be used for carpet cleaning in condominium towers with no additional floor charge. Bay Quality Clean provides their own chemicals, supplies, and equipment. However, if a customer prefers, they can provide their own choice of cleaning chemicals and products. On commercial floor jobs, the right product for the job is especially important. Bay Quality Clean chooses the appropriate product for each job application. For high traffic areas, a more durable floor wax should be used. For areas such as show rooms, a high gloss wax is generally preferred. Odorless wax stripper is always used, whether it is a commercial or residential floor job.